The Pz.Kpfw. IV hydrostat. 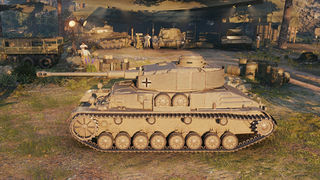 is a German tier 5 premium medium tank. The development of vehicles incorporating rear-placed hydrostatic drive started in Germany in July 1944. The chassis of the Pz. IV Ausf. G was used for the related trials. The first prototype was manufactured at the end of October 1944. Only one vehicle was produced. Those who have played the PZ. IV H for a good amount of time will immediately notice that this tank plays quite differently, especially if one is used to using the 105mm Derp gun on the PZ. IV H. The Hydrostat has only 50mm of frontal armor on the hull, and as such is much more prone to being penetrated, even by lower tier guns. 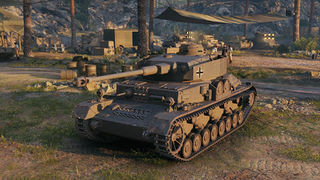 It also tends to suffer from tier 5 derp guns, particularly those mounted on the M4, PZ. IV H, and KV-1. Although it has a rather weak engine, it is still quite agile- with 40 deg/sec of hull traverse. Despite for cruising at the mid forties, one might have to run a straight line for some time, it is not quite a slow tank. It is quite capable of flanking maneuvers, but in a head-on fight it will fall to pieces very quickly. It is also adept at counter-flanking tactics- combining the 40 deg/sec hull traverse and 44 deg/sec of the turret, this tank can effectively counter any circle-strafers it may come across. 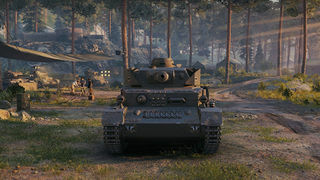 The gun is solid, with decent accuracy and ROF, but the penetration will struggle against heavier armored tanks, and you may need to call on APCR ammunition to deal with them. All modules come fully researched. 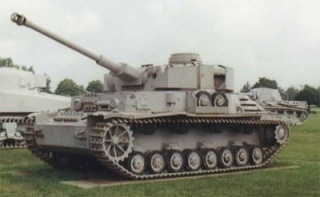 In late 1943, Zahnradfabrik Augsburg equipped normal (turretless) Panzerkampfwagen IV Ausf G/H with newly developed hydraulic steering system. Thoma (non-liquid) oil drive transmission was installed and drive sprocket was replaced with the new one. The power train consisted of twin oil pumps driven by Maybach HL 120 TRM engine. In order to accommodate all the changes, entire engine deck and rear was modified. In mid 1944, this prototype was fitted with modified hydraulically operated turret. Tests were carried on but were never concluded. 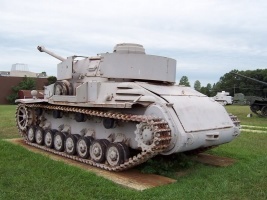 There are varying accounts as to what happened to the prototype afterwards; one is that it stayed at the testing facility and was captured there by the US Army, and the other account states that the prototype was sent to Russia and served with the Waffen SS unit. At the end of the war, this vehicle was captured by the US Army and was sent to United States for further examination. Tests were never concluded and this vehicle is still at Aberdeen U.S Army Proving Grounds in Maryland. This page has been accessed 52,435 times.